British Home Design Feature: Georgian Home In “Period Living” – Design Your Lifestyle. August 2014 August 2014 Peter Salerno, Inc.
For those of you unfamiliar with Period Living, there’s a reason for its standing as ‘Britain’s best-selling period homes magazine’. From homes to gardens, decoration to restoration, Period Living is a staple publication for lovers of classic British design. 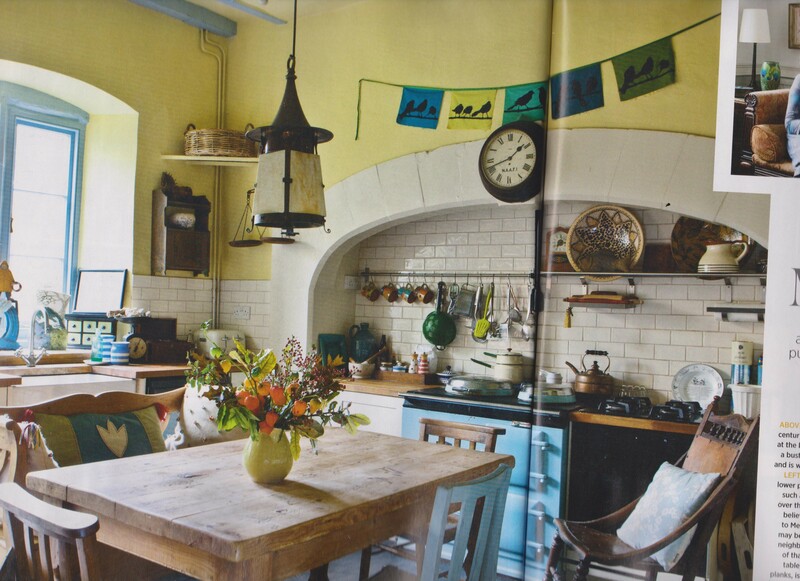 Peter Salerno quickly fell in love with the September 2014 issue of Period Living during his recent trip to the UK. One piece in particular caught his eye: an article titled “Echoes of Memories”, profiling two people’s journey to restore a classic Georgian home in Derbyshire. Partners Sue Swain and Steve Ford painstakingly restored the Georgian home, called “the house with 14 windows” by locals. Author Heather Dixon and photographer Lu Jeffery create a wonderful portrait of Swain and Ford’s home, full of beautiful rustic decor and cheerful blue hues. The home is dated to the 18th century, and according to the article several elements “are believed to be dated back to Medieval times”. The best part of this gorgeous British design restoration? The work was done by readers of Period Living, proving the talents of its readers. “I love the fact that everything comes with its own story that means something to the family,” the article explains. It’s those kinds of personal touches that Peter Salerno cherishes in his own designs, which helps explain this property’s magnetic appeal to him. For more information about this Georgian home and other period pieces of English design, check out the September 2014 edition of Period Living.